Marilyn Ramos (21) was the suprise winner of the 2012 Miss South Africa Pageant that was held at the Sun City Superbowl. Hot favorites, 2010 runner-up Dhesha Jeram 2010 top 5 finalist Natasha Kashimoto, both failed to advance to the top 5. The first runner-up was Stacey Webb and the second runner-up was Pearle Nxele. The top 5 were completed by Simone de Kock and Charne King. 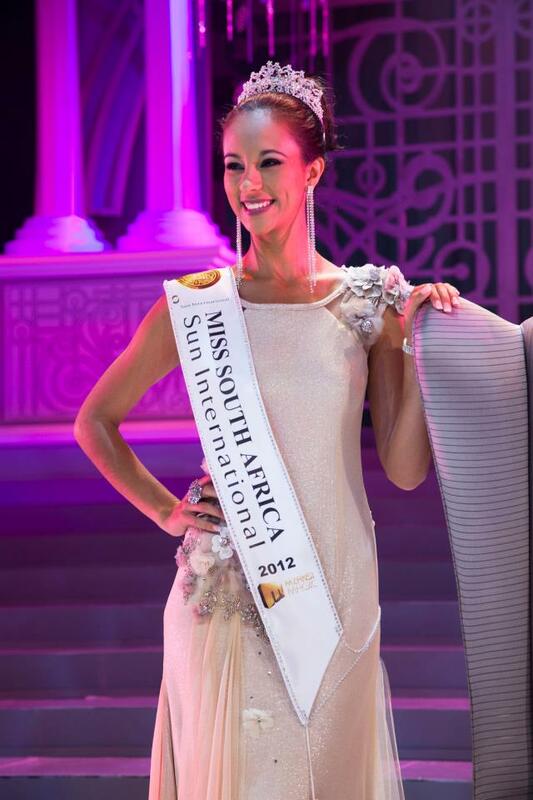 The new Miss South Africa is from Klerksdorp and she stands 1.74m tall. She will work for the Miss South Africa Organization owned by Sun International for the next year, appearing at several events and doing charitable work on behalf of her sponsors. Ramos will also represent South Africa at Miss Universe and Miss World 2013. I am too shocked to even have a comment. THE SURPRISE RESULTS I IMAGINED HAPPENED. At least she is pretty. She definitely has potetntial.